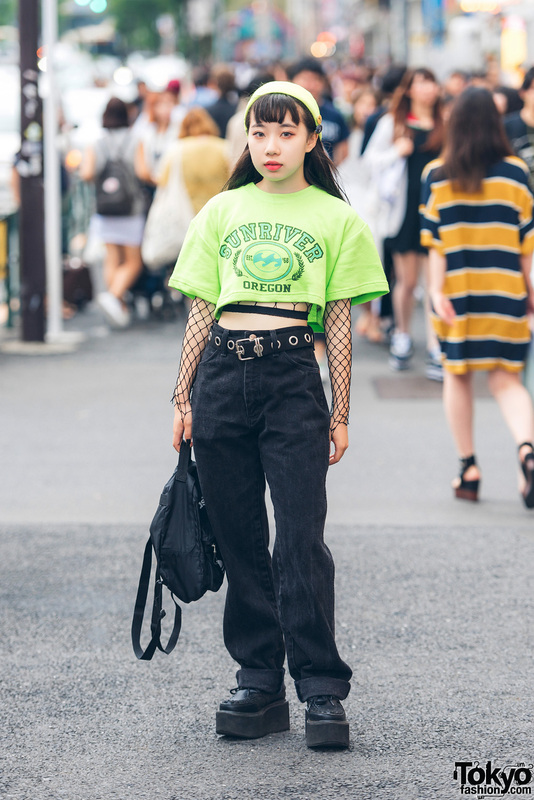 Harajuku girl in dark and neon street fashion with cropped top over a fishnet long sleeve top, black jeans, platform creepers, black backpack and a neon green knit beanie. 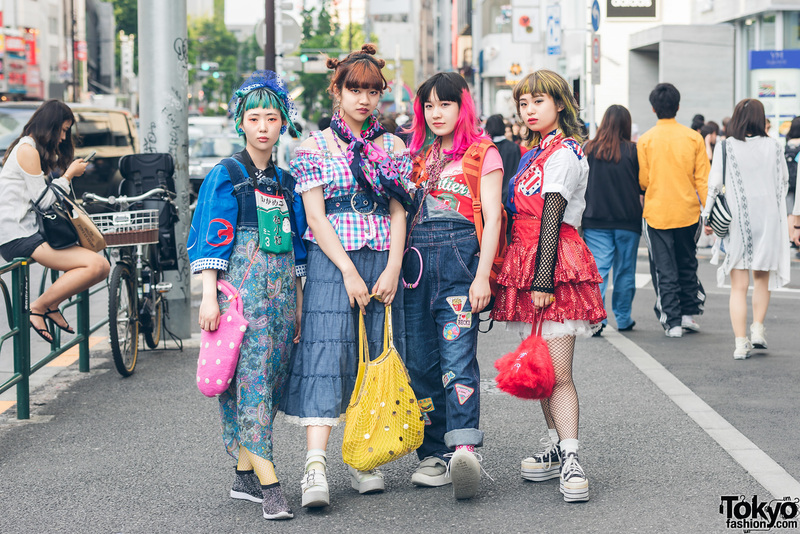 Harajuku makeup artist in resale street wear style with Victorian top, high waisted skirt, fishnet socks, platform creepers and handbag. 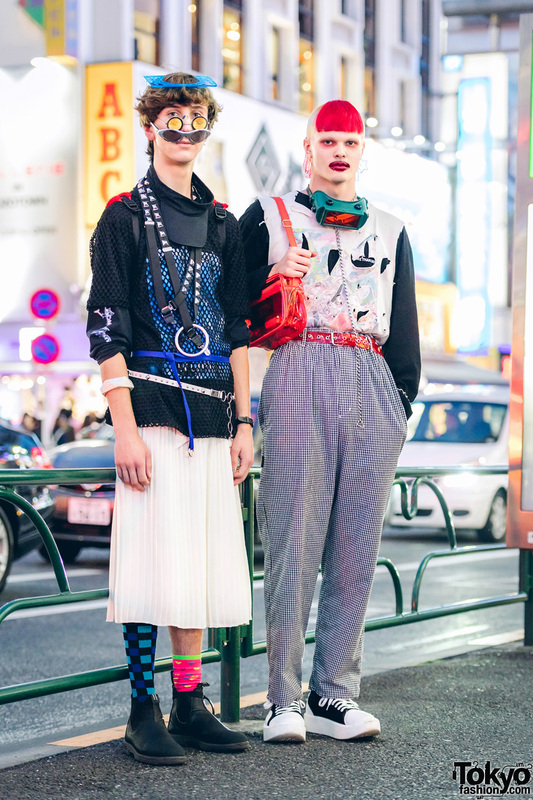 Harajuku girl in black and plaid fashion with black sweatshirt over fishnet top, plaid pants, black tote and platform creepers. 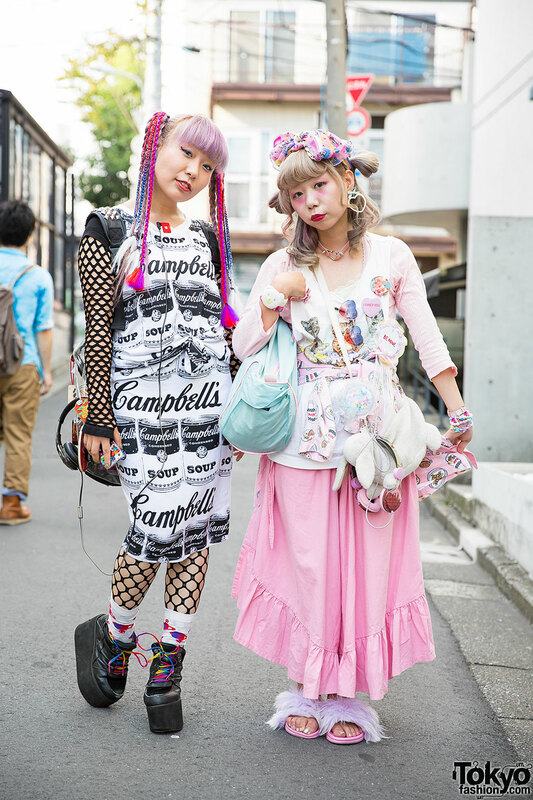 Harajuku girl with lilac hair wearing fashion including resale items, cute accessories, and platform sneakers. Harajuku girl in all black dress with sheer panels, fishnet stockings, spike choker, cross necklace and ring, skulls bracelet and straps heels. Harajuku fashion designer with colored hair, bandana, cap and face mask, wearing a crop top, shorts and jacket with harness, fishnet body suit, backpack and platforms.